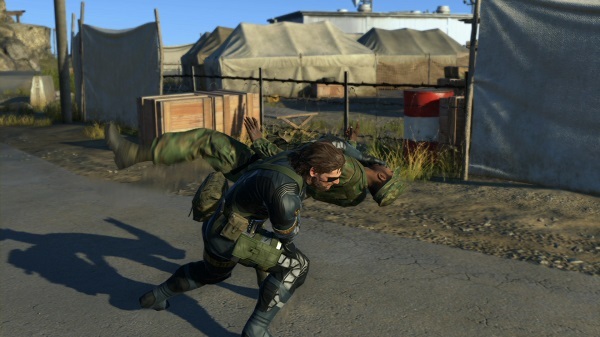 Metal Gear Solid V: The Phantom Pain is set to include an online multiplayer option, and one particular game mode may end up rubbing gamers the wrong way. The Forward Operating Base mode, which allows players to build strongholds against other players includes the option to pay real world money to expand their bases. Initial reports seemed to indicate that the FOB mode for online multiplayer would be blocked off by a paywall. However, it turns out that the paywall screen simply turns up when the player (or the server) is offline. Instead, players will be allowed to participate in the mode for free and will receive their first base without any charges. 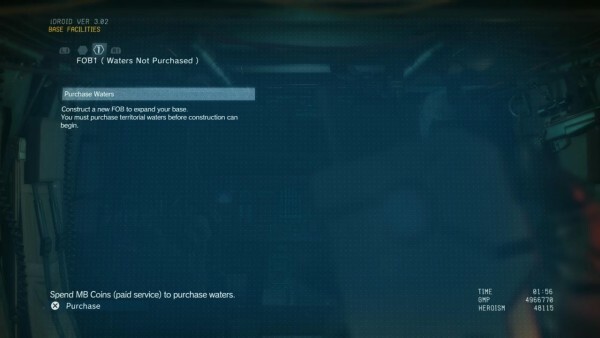 After that, any plans to expand the base will require the use of in-game Mother Base coins. Konami has not explained how one will be able to earn MB coins, but it is clear that the main option for earning the in-game currency will be by spending real world currency. Konami producer Kenichiro Imaizumi has also taken to Twitter to clarify that there will be other ways of earning MB coins rather than simply buying them. Apparently the idea is that these coins will take the grinding out of the multiplayer aspect of the game. The problem here is not that there will be microtransactions in MGSV. Rather, the issue is that there will be microtransactions in a game that people are already paying RM230 to own. Sure there is no requirement for people to actually shell out any money, but it feels like an unnecessary additional layer of monetisation on a AAA title.